Review: Barbra Streisand, 'Encore' Encore is an amiable Broadway/Hollywood mashup of vintage production values and modern casting, with guest performances by Melissa McCarthy, Anne Hathaway, Hugh Jackman, Jamie Foxx and more. 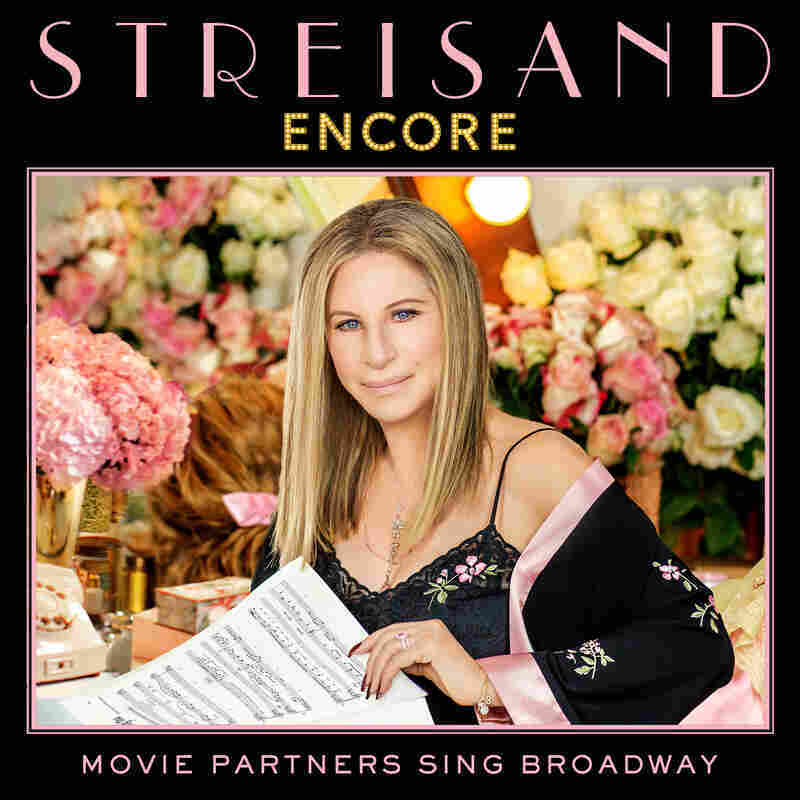 Barbra Streisand's cheekily entertaining and sometimes touching new album, Encore: Movie Partners Sing Broadway, sounds like the skits and music of an extravagantly staged awards show without the awards. It also has the feel of a late-night gathering of show people as they share favorite, and in some cases virtually unknown, tunes and scenes — at the home of a hostess who just happens to have an orchestra lying around. Encore is an amiable Broadway/Hollywood mashup of vintage production values and modern casting. Like Streisand's 2014 album Partners, a collection of duets with male singers ranging from Billy Joel and Lionel Richie to John Legend and John Mayer, this new record finds her in fine voice among a diverse range of pairings — and an opening trio, "At The Ballet" from A Chorus Line, with Anne Hathaway and Daisy Ridley. A special edition available only at Target stores adds four Streisand solo tracks, including two of Stephen Sondheim's most moving numbers: "Losing My Mind" from Follies and "Not A Day Goes By" from Merrily We Roll Along. "Does the world ever frighten you?" asks Seth MacFarlane before singing — and whistling — "Pure Imagination" from Willy Wonka And The Chocolate Factory. Like actor Chris Pine, who joins Streisand for an affecting medley of "I'll Be Seeing You" and "I've Grown Accustomed To Her Face," MacFarlane has a voice that could fit comfortably into any period of American crooning between the Eisenhower years and now. The album wraps with an inspirational dialogue between Streisand and Jamie Foxx, which leads into their majestically paced, gospel-inflected "Climb Ev'ry Mountain." After the peak, the song and record finish with a flourish of brass and the fading thunder of a bass drum, a grand Hollywood ending to another chapter of an epic — and unfinished — career.